It says something about the regard with which we hold GNOD – that is, the highest possible, with an infatuation that verges on the unhealthy, certainly absurd – that we will listen to anything and everything released through their Tesla Tapes imprint. But then, what’s not to love? We know little about the why’s and how’s of Stress Waves, apart from knowing that they are apparently composed of two guys from Australia who have a drum machine, a synth, and a bone to pick with the shadows that darken our lives. Stress Waves sound like Rain Parade if someone truly did rain on their parade and, not only that, proceeded to cancel the entire parade, then broke the band’s guitars over their knees, doused their drum-kit in kerosene before setting it aflame, and eventually put two of the band members in the figure-four leg-lock, laughing at their anguished cries for release, and calling the finished product “Orphic Ruin.” Which, we suppose, is to say that Stress Waves sound nothing like Rain Parade, but for an overwhelming shared sense of melancholy coloring their sound. “Orphic Ruin,” perhaps more than any music that wasn’t written and recorded by Venom, sounds like orphic ruin. Which is to say, it sounds like your world is falling apart. The pace is funereal, the “hooks,” as it were – or as it would be, if the hooks were anything like hooks – have been melted down, drippy and disfigured, long before they ever reach your ears, and the vocals are one giant, cavernous moan, genetically predisposed to carrying the melody, but not wanting much to do with the job. It’s overwhelming. We kind of get woozy just thinking about it. 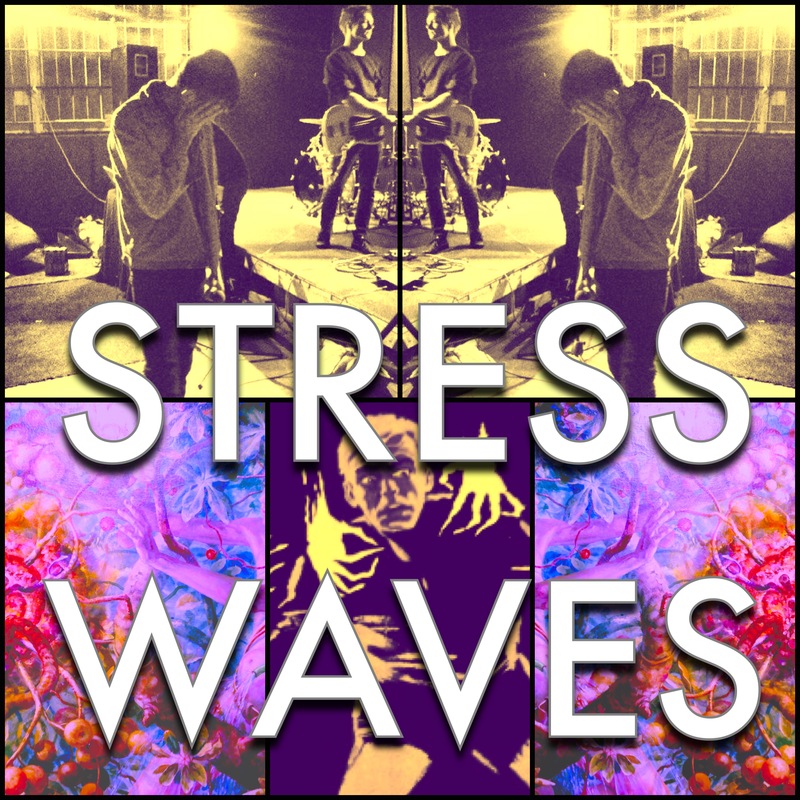 Stress Waves is so good, we get woozy. That’s is the highest possible recommendation from this stupid website. But then, was it not Rain Parade who sang the words, “what’s the point of anything that brings you down?” For all the melancholia in the sound of Stress Waves – massive, thick ribbons of melancholy, threatening to stain your clothes if not your very soul – “Orphic Ruin,” doesn’t bring us down, and whether it’s the sound of castles burning or drum machines churning, you won’t find us turning this one down. Stress Waves “Orphic Ruin” is available for download now from Tesla Tapes. “Sometimes I feel overwhelmed. But I try to work one day at a time. If we just worry about the big picture, we are powerless. So my secret is to start right away doing whatever little work I can do. I try to give joy to one person in the morning, and remove the suffering of one person in the afternoon. That’s enough.